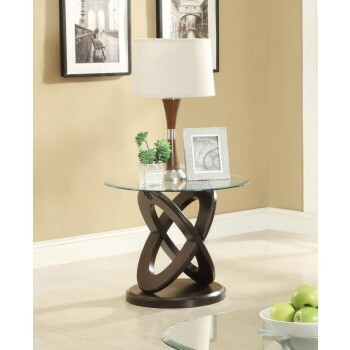 A UNIQUE INTERLOCKING OVAL BASE MAKES THIS PIECE STAND OUT. STRONG TEMPERED GLASS TOPS ALSO GIVE THIS PIECE A CASUAL STYLE. FINISHED IN cappuccino.